After a brief setup time, this program runs itself. We use Jobber to manage our projects. Once a job is completed, Nice Job invites our client to submit a public review, using a template that required very little customizing on our part. Their scripts were tried and tested and proven effective, so why mess with them! The automated system sends out reminders to clients who have not responded, so if they missed the first request, they may respond to a later one. This does not go on indefinitely, however, but only has four steps. No sense irritating the otherwise happy client who just chooses not to leave a review! The next connection we like is that to social media. You have the option of setting it to automatically post certain levels of review. This increases our presence in that arena with no effort on our part. You can leave this as a manual setting if you prefer. I am Technology Director for two companies that chose to utilize this program. I can log in to both companies in Jobber and Facebook with the same credentials. This did not work when setting up two instances of NiceJob. I had to have a colleague make the Jobber connection by logging in to NiceJob with her own credentials. Then, I had to create a new Facebook account and invite that one to be an admin of the second company in order to make that connection. It did not take an incredible amount of time, but was a little trying until I figured it out. If you are creating distinct instances of NiceJob to connect to distinct companies you will need distinct credentials to make the Google, Jobber, and Facebook connections. NiceJob automates the process of getting customer reviews and posting these to social media, thus increasing our presence there. We have already seen comments and other activity on these posts. This increases efficiency since we don't have to look all over the web at many review sites but can log in to one dashboard. to see them,. "Great results and great customer service"
We use nicejob for our reviews and website. The website is great because we can change some text and edit it ourselves without having to send in requests all the time. Our reviews have gone way up on google and facebook with this service too. The social sharing of reviews and stories are great because it lets people on social media read reviews of others and its all done automatically after it is set up. It's easy to figure out how many leads we are getting from the website. The team at nicejob is always very easy to get ahold of and very helpful. I think the app doesn't help us much. Not sure if thats because we have an integration with housecall pro and is not really needed. We typically do not use the app for anything. If you want to get more reviews on google this is the way to go. Its a great value for the price. We wanted to have a nice website to convert more leads. It has been great for getting us online booking jobs. With all the great reviews and a lot more of them people seem to book online from our website more often. We have got a lot more reviews on google so we are starting to rank much better too. Its nice that the reviews and stories are shared on our website with links out to the platforms they are left on. "Easy, Simple, Cheap and EFFECTIVE." When I was looking for a reputation management company, the first few I looked up seemed great but at an insane cost. I found NiceJob and was shocked by their pricing and thought it had to be lacking versus the competition and was pleased to find out that wasn't the case at all. Joined up with them and the reviews started pouring in. Simple as that. Also, any time I had questions or needed something fixed, their team was on it ASAP and they have to be the friendliest group of people I've ever dealt with. Couldn't recommend them enough. NOTHING. There really isn't anything to complain about whatsoever. If there ever is, I bring it up to a team member and it's handled. You just can't beat the price. Not sure what additional features you would even need but don't let other companies like BirdEye tell you that they do anything far more significant than NiceJob to justify their insane price. Reviews are everything. Especially in our business. It gets people in the door and when your brand gets more positive reviews, you have a more powerful presence in your space. NiceJob makes it easier to ask for those reviews and streamline the process for customers. I have tried 3 separate review generating platforms over the last 2 years but only Nice job accomplished what I wanted. They are constantly innovating their offerings. I now have a program I haven't touched in nearly a year that is automatically pulling in several reviews every month for me for me. I am approaching 200 5 star reviews for a co.pany that is just over 2 years old I feel pretty good about that. My business is a carpet and tile cleaning service. So far I do not dislike anything. I had a little trouble at startup but their team took care of me right away. How to consistently follow up for feedback without irritating my customers. Approaching 200 5 star reviews. The best thing about NiceJob is that it integrates perfectly with our HousecallPro software. We just hit finish on our program and NiceJob does the rest. Running a business is a lot of work and anything I can set and forget is key to keeping your work load down. Reviews. are. everything. in a home service business and getting reviews without even thinking about it is priceless! So far so good we haven't found much that we dislike. I have noticed that we don't get notified of our review as quickly as say google notifies us but that doesn't seem to be a huge problem. I would like to be able to reply to the review without having to get into NiceJob but there may be a way that I don't know about. The best benefit I can think of is not having to take the time to reach out to our customers and ask for a review. Time is money. "Awesome Service!!! We love it!!" We started using NJ in December. They have done a really great job for us!!! I wish they would send review requests for BBB and/or my website. I also wish that there was a way to manually invite each customer with the HCP integration. (please, let me know if you have that in place already). A good idea would be an automated email for those who leave reviews a "Thank you" email for them leaving a review and asking for referrals. We are solving our need for reviews! NJ does a great job of sending out review requests at appropriate times. Thanks Carry for the great review of NiceJob! The NiceWork system is very easy to use and is a huge time-saver for us. We have noticed an amazing jump in obtaining online reviews and customers love the emails and are happy to share. We've tried a lot of other methods to get reviews but we have never seen the reviews come in so quickly and effortlessly. Sharing on social media used to be something we were either not doing or not doing well and it took a lot of time. This automated program makes it easy to show off our work across multiple social media accounts, often on the same day we did the work. We also had our website redesigned through the Convert program. While we did spend a good amount of time on providing up-to-date information, the Hatch team truly ran with what we gave them and came back to us with great results. This was the easiest website overhaul experience by far- compared to other companies we've worked with. We are extremely pleased with the fresh look, easy navigation, and quick and thorough support along the way. We haven't found anything we dislike about the software. We would recommend others who are thinking about Hatch to just make the leap - trust that these people know what they are doing and won't let you down. We have no regrets. We have been able to turn our stale, outdated website with broken links into a fully responsive, engaging and constantly updated site. We have also been able to obtain customer reviews easily and quickly - something we previously struggled with. Our social media accounts are consistently active now, easily updated with work photos and reviews if choose. Thanks Jennifer! Loved hearing your comments, and we have some great things in store in the next few months that will make it even easier to get more customer reviews! "Great resource for small business"
NiceJob has been a game changer for our small business. The immediate contact with our customers has helped build our online presence and assures our new customers that were reliable and trustworthy. They also provided us with an awesome website and the help with management of the site has been great. We love nicejob! Ease of use and the best support you can find. "NiceJob - Excellent Outsource Option"
Fast response from first contact to today, very responsive staff. Nothing. This team has been great! I have been working with them for about a month now, using their Convert Website AND Review Management services. If you want a solid website for your local business, which not only looks and functions well, but also has excellent SEO fundamentals... then NiceJob is a great option. Rather than pay a design firm thousands, we only paid a nominal setup fee, and we continue to pay to have the site fully managed by their professional team. This means they continuously monitor the site for conversions (people who go from looking at it, to taking action... like a phone call to the business), AND they are on hand to make changes to the site as needed. In addition, and this is KEY, their software allows you to generate and monitor positive reviews on an ongoing basis! They place these 5 star ratings on your site automatically, and can share to your social media pages as well! This means more reviews on your Google Business Listing, Facebook, Yelp, etc! I know it sounds like I am pitching for them, but this is exactly what I wanted for my client, who owns a tree removal service. For the money & level of service, it is a NO BRAINER. I provide SEO/PPC services to small service-based businesses. While I am capable of designing and building a website, I was enticed by what NiceJob offered. Review management AND a well optimized website that converts visitors. I would rather outsource the website building. They have proven to be everything they advertise. Great looking site, great sales copy, it loads fast! I will refer future clients of mine to NiceJob for sure. "Best Bang For Your Buck - Review Generation "
Seamless integration with my CRM service. When a job is done, Nicejob is already at work getting me reviews with zero effort on my part. Some options have been limited over the years but this is due to Google and Yelp's Terms of service. Nicejob is just playing by their rules and I can't blame them for doing that. This product is on par or better then the competition and is priced at 50% of the market standard. Getting more reviews with zero effort. The main benefit is the follow up, A lot of people wont review you unless you ask several times and nicejob does that for you. "Simple and automated online reputation management and client review acquisition"
Integration with our CRM (HouseCall Pro) makes it easy to request online reviews from our clients. As soon as we close out a job, the process begins. Once a review is left, the system typically recognizes the reviewer and stops making requests. Occasionally, the AI doesn't recognize the reviewer and we have to manually stop the review requests. There is no other platform that performs what NiceJob does at its price point. Our reviews have tripled on reputable platforms (Google, FB, even Yelp) since starting with this software. We're also getting more social media interaction from the automated posting of job photos and reviews. "I have been able to get a lot of new reviews thanks to NiceJob"
I really like how automated it is. NiceJob connects with or CRM and once the job is complete NiceJob does it's thing. I never really used NiceJob to it's full potential. That is on me not them. Try it out, it works. NiceJob makes getting customer feedback so easy. We just enter their info and NiceJob does the rest. There is nothing that we dislike. NiceJob is the best. If you are looking for a solution to reputation management, look no further. Getting our clients to give us feedback about their experience with us. NiceJob makes it almost effortless to get quality feedback from my customers. Navigating the website is a little cumbersome but, because of the automation, I need to go there so infrequently that it's not a big deal. We've seen a huge jump in organic reach because of the additional reviews. "Great to build your business "
Nicejob has done a great job with helping us build our business and SEO presents by asking for feedback from our customers. We e haven't found anything that we currently dislike. We are able to get more reviews on google, facebook and yelp with there assistance. The customer support is great, the platform WORKS, and I have got more reviews than ever before! Very efficient to ma age reviews and customers find it easy to leave my company reviews! The only issue for me is not knowing about Nice job sooner! "Performing better that our previous Review partner"
We like the follow up emails sent after the first text message. We've noticed that some people rather do it later, so having both options is great! We missed the option to have upset clients contact us before spreading a bad word all over social media. Our goal is to get 50% reviews of all jobs performed. Now we are around 35% and pretty confident we will get there!! Getting more reviews, which means more people calling and booking jobs. "Nice Job is amazing for building your online reputation! " Increase in engagement and saving me time! The problems I was having before nice job was after a job I was unable to leave Au RL for review it would be later in the week now wants to job is finished they have the opportunity to leave a review and the best part is the follow up you provide. "Must have app to get customer reviews"
Thie people at Hatch have developed an easy to use app for me and my customers to use so that my customers can easily post Google and Facebook reviews. Hatch has made the importance of positive reviews part of my sales pitch when offering my service to customers and keeps great service front of mind in all of my jobs. Get this app people trust third party reviews. They're great to contact online but I wish they had a live phone chat too. "Lars and Mark at Hatch give top notch service!" They will go over and above to provide the very best in service. As soon as you talk with them you know you can trust what they're saying. The Hatch website platform is the best in the industry. Nothing they are awesome:). As soon as I started talking with them I knew they were great! Mark and Lars are authentic and do what they say there going to do. If you want one of the best websites out there and to gain great traction on Google. Give Mark and Lars a call at Hatch! Being at the top of Google for high searched terms and doing it authentically is awesome. Thanks to Lars and Mark at Hatch. Thank's Kyle! Really appreciate the comments, and just drop us a line anytime you need anything, we're always here to help! 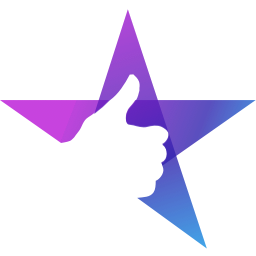 "Reviews Was Area We struggler with "
"NiceJob has done wonders for my business"
NiceJob is like the administrative person I need desperately. Followup is time consuming and tedious. NiceJob does all of the review followup for me. Do the trial and see how great it works for you! "Mark and Lars from NiceJob are the best!" From the first phone call I had with Lars I knew I wanted to work with their company. Super friendly and professional, I was sold. My website went live today and I couldn't be happier. It's super clean and fresh and I look forward to having it for years to come as I grow my business. Nothing at all, the process was very smooth. The problem I solved with NiceJob is finally having an up to date website, which also has features that work perfectly for my business like the reviews feature. Website not super easy to use. In regards navigation. The folks at Hatch are very personal and knowledgeable. We hired them to take over our website seo and organize our projects in a viewer/use friendly way. Google ranking shot to first page and as a result we have had to problems growing as a company. Lars and Mark are spot on. If I had to write about something I dislike it would be that there is no local phone number to call to chat with them as our business is in the US. Making the phone ring is key in our business and Hatch eliminated that problem. We have many customers because of our placement on Google. "Simple automated review are rolling in!" I love how it integrates with my CRM so I don't have to worry about getting new reviews. Just set it up and Nice job asks for me! The website isnt the easiest to understand sometimes. I've tripled my reviews since signing up for NiceJob! Nice job is very easy to use it's not complicated. It make stayimg on top of our social marketing very easy. We dont really have anything negative to say. I love their customer service and responsiveness to questions. I get compliments about my site regularly, and they did all the work for me! My Hatch website generates so much work for my company that I have a hard time keeping up with it all. i really have nothing to say here. My experience with Hatch has been nothing but positive since day 1. Don't let the cost scare you off. I almost went with another company that was much, much cheaper, but O am so glad I spent the money with Hatch......You really get what you pay for with them! Thanks Jesse! Love hearing your feedback. And we've just rolled out a huge product update so now your marketing automation tools will be faster, easier to use, and more powerful! "Great addition to our team!" I’ve got a lot going on as a business owner and having the added support of automated review capture is a tremendous help. I’d love it more if each step of the review requesting process is via sms. * We monitor all NiceJob reviews to prevent fraudulent reviews and keep review quality high. We do not post reviews by company employees or direct competitors. Validated reviews require the user to submit a screenshot of the product containing their user ID, in order to verify a user is an actual user of the product. Hi there! Are you looking to implement a solution like NiceJob?